A very good morning to all of you my friend, hope you are in a good health and ready to face your day, because it's jumuah, the day of joy for moslem all over the world. Did you know P&G products are enjoyed over 4 billion times a day in over 180 countries, making us perhaps the two most successful letters on the planet? With the strongest portfolio of trusted, quality, leadership brands, including Pampers®, Whisper®, Pantene®, Downy®, Oral-B®, Duracell®, Olay®, Head & Shoulders®, Wella®, Gillette®, SK-II® and AmbiPur®, our goal is to improve daily life through our products, people, and initiatives. At P&G, we continually aim to attract, recruit, reward, and advance the finest people in the world. P&G people get involved – with their workplace, their community, their planet, people in need, and each other. So if you're looking for a company whose actions reflect its principles and values and whose people continually expect, contribute, and do more, P&G is a very exciting choice. As a "build from within" organization, we see 95% of our people start at an entry level and then progress and prosper throughout the organization. This not only creates many wonderful opportunities to grow and advance, it creates a special camaraderie among fellow P&Gers, many of whom came up through the ranks together. Here, we want you to get your career off to a fast start. That's why we don't have any rotational development programs or gradual ramping-up periods. From day one, you'll help develop or support exciting brands you know while working on projects that have a direct impact on our global, $79 billion business. 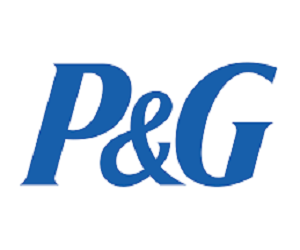 The Dream P&G Internship is a flagship program offered to promising and driven undergraduate students interested in unleashing their leadership potential by immersing themselves in the exciting and challenging business of P&G. We aim to partner with the academe in developing the next generation of students who will lead their organizations and communities by exposing them to real-world challenges and providing them learning opportunities designed to grow and hone student leaders in the same way we have been growing P&G Leaders for generations. Students who are in their second to the last (penultimate) year of college education. (For example, for 4 year courses, 3rd year students are eligible to join; and for the 5 year courses, 4th year students are eligible to join). Proven success from school that demonstrates skills in leadership by envisioning, direction setting and enrolling others; thinking/problem solving; creativity & innovation; initiative & follow-through; communication; and priority setting. 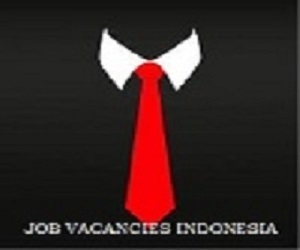 You now are visiting our site entitled karir terbaru bulan april 2016 by Job Vacancies Indonesia. Thank you for visiting us. You share this information to anybody but please promote this website, too. Update your information by subscribing our latest news and update via email. You may also follow our social media (FB, Twitter and Instagram). Success is about how to thanks to Alloh! Belum ada tanggapan untuk "Jobs at Procter and Gamble (P&G) Indonesia"